I grew up either taking care or nurturing my siblings while my parents were away at work. It all changed once I had my son, my care taking practices transferred to him. At 22 years of age and without a college or trade school degree, I embarked on the path of becoming a certified nurse assistant as suggested by my mother. Soon after, in 1999, I was working at the Sonoma Developmental Center for adults. My first assignment was to substitute for a teacher who was out on vacation. Needless to say, she never returned. I had no previous experience working with highly disabled patients nor the first inkling for teaching vocational skills. After many months, a credentialed teacher took over the position, by then I was already intrigued in the process of becoming a teacher. By 2001, I transferred to Napa State Hospital as a psychiatric technician assistant. I quickly discovered a dislike for being mandated to work overtime, without prior notice. It meant working double shifts (back to back) depending on the shortage of staff on a regular basis. This lack of planning propelled me to go back to Napa Valley College to finish up classes before transferring to Sonoma State University in 2002. I graduated with a Bachelor of Arts in Chicano Latino Studies in 2005. In 2007, I was hired at Napa State Hospital to do an internship with supervision from a credentialed teacher on site. I could teach with the intent of completing my Education Specialist Instruction Credential from Sonoma State University the following year. I would remain in this teaching position until 2016. Due to high security restrictions, students were not permitted to have access to the internet. With this in mind, I spent very little time in furthering my technology skills. I applied for a Special Day Class teaching position through Napa Valley Unified School District and was hired in 2016-17. I knew coming into this position my lack of comfort in the world of technology. Hence, when the Innovative Learning program was presented at the school district, I did not hesitate and jumped on board. Thank you to Napa Learns and Touro University California for creating this program to facilitate teachers’ learning and teaching while modeling 21st century learning skills for our students. My initial thought of the Innovative Learning program offered through Touro, is best described by the word “enriched” by the opportunity to expand my teaching practices and simultaneously boost my technological skills. I remember the lack of confidence I had in my ability to complete this program, having minimal experience with technologies. The first assignment entailed filling out confidential forms, and returning them to its corresponding department. This was my introduction to technology and I was already feeling overwhelmed struggling with logistics. Consequently, I soon reached out to my cohort and asked if I could join them for class meetings. Reaching out was the best decision I could have taken, Cohort 13 was supportive and hands-on when needed. The research paper was a massive undertaking, I learned how important it is to keep track of your data and also how to manipulate tech tools to make findings visually engaging. Setting up my weebly site was not an easy task, I was fortunate my niece had previous experience using this program and agreed to assist me. 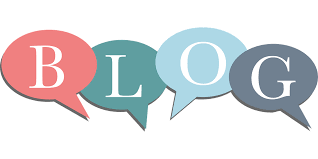 I am glad to say, I now enjoy blogging! I spent the second semester creating lesson plans on digital citizenship, exploring educational tools, reading books on how to create simple, presentations, and making sense of design-making. The final assignment consisted of a book review presented through video, it showcased both the technology usage and author’s premise on who will take over the world based upon what side of your brain you exercise. I am now in the last semester of this program, the word the best describes this teaching experience is “empowered” and “equipped” to take on more challenges in the classroom for the upcoming school year. I am learning how to link pages to my Capstone Project, create a storyboard, logo and ultimately complete and present my Capstone Project by next month. Despite the 10 years of teaching experience at Napa State Hospital, I left feeling behind in the area of technology training and exposure. This is my second year, as a special educator, at Napa Valley Unified School District working with special needs students. In the Special Day Class, I noticed students struggling with core concepts in mathematics and a lack of engagement. Hence, I jumped aboard the concept of technology integration through the Innovative Learning Masters Program. I felt I needed to make math content accessible to my student population. At first, I implemented whole class instruction, and it was not successful, students would talk out of turn. Secondly, the group discussion seldom worked. The students were misbehaving, creating a disruptive learning environment, and I was not meeting the students’ needs. With TPACK, a framework that combines three knowledge areas, content, pedagogy, and technology, has changed the way I view teaching. This program and TPACK, have altered the way I used to approach teaching from paper and pencil to the integration of technology. After the integration of tech tools, my students have been more cooperative and willing to make an effort, even though, math is not one of the favorite subjects. In the video of Punya Mishra, An Introduction to TPACK, he says that content, pedagogy, and technology are not isolated of each other, instead they are the total package for teaching with technology. At the heart of TPACK is meeting students’ needs with the swift integration of all three knowledge areas. I am confident in using tech tools for education. As educators, we are playing a different role in class, resembling a facilitator or coach position. I am no longer reluctant or anguish to use technology in class. Technology is the way of the future and as educators, we cannot stay behind in the dark. Technology is relevant, hands-on and engaging for all students.